If it works acceptably, then it shouldn’t be too hard to make a plugin that automatically created the username_friends group for each user. Although many of the hosted sites, including my own, have a limited set of plug-ins which is why I’d prefer something built into Discourse. I am thinking of hiring a dev for this feature with an expected completion by Jan. Wondering if anyone is interested in collaborating for specs + funding? I am also thinking of customizing a side bar for easily accessible links like profile, subscribed categories/topics/users, etc. Could bundle the two plugins together if there is enough interest. @p16 and @wishspinner are sponsoring the development of a Follow feature, which I’ll be building. We’ve worked on an initial spec which we’d like some feedback on, particularly given this has a #pr-welcome tag. We’ll initially develop this as a standalone plugin. Following another user will be similar in structure to following a category, perhaps initially with only one notification level akin to “Watching First post”. Note the current absence of a new topic list in the “Discovery” section of Discourse. @p16 and @wishspinner, this is something for you guys to consider, i.e. it might be preferable to have a new list (e.g. see the screenshot here), playing a similar role to a ‘feed’ on a social media platform, rather than a notification for every post, or a feed tucked away in the profile. Any feedback on the above is welcome! What would it take to replace Facebook with Discourse? I disagree with showing who/how many people are following someone. It sounds like this would quickly become a contest to get the most followers instead of as an actual productive feature. It’s super unlikely we would ever accept this as anything other than a plugin. Fair. We’re thinking the ability to see how many followers a person has as being toggled by a site setting. Sounds fine. My team is currently wanting to create a follower plugin ourselves which will be open source! You’re welcome to join in the sponsorship of this plugin with @p16 and @wishspinner to further distribute the costs. Interested? 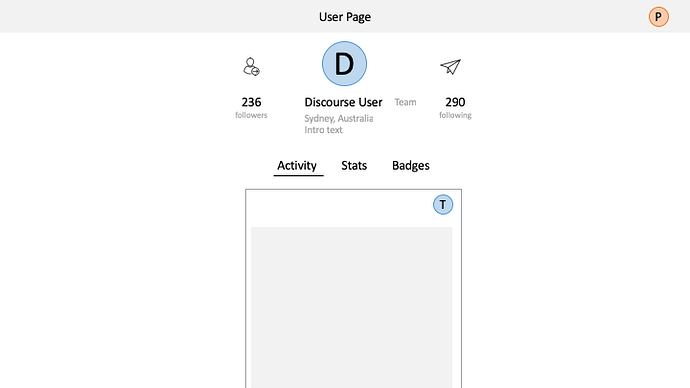 A user page, which defaults to the Activity page (instead of the Summary/Stats view), and displays posts in the social view as well (the social layout is optional of course - I am just imagining this on my end). Ability to follow and message a user on top as well. I’m interested, but I have a lot of projects on my hands right now. If they’re already working on it, I’d rather let them go ahead. Users get a notification when they get a new follower. Psychologically it could give a little boost and motivation to continue posting good content. I think that would be really good to have - maybe even with a nice blue dot icon or something to make it look a bit different to the other notifications. It would also be nice to have a couple of badge scripts to award badges for getting followers or following people. I think, at least initially, we should keep it simple and restrict it to topics only. Maybe in V2 we could test posts and how they look and feel. I’m neutral about a following tab, as long as topics from people you follow come up in all general tabs (Latest/Top/New/Whatever). I see your point, but If I’m following someone it’s mainly because I want to read what they post. If there’s a list of topics I would have to go into the first topic, then back, then into the next topic and so on. Where would the links in the topic lists even point? To the the newest post by the user I’m following? What if there are posts by multiple users I follow in the same topic? It could be a bit confusing. I think that seeing all posts by followed users in an activity feed would make it more likely that users would follow others, because they get more value from doing it. Also, if you follow a lot of people your inbox would flood with notifications of their new posts. Perhaps there could be levels of following someone, like there are for topics (Watching/Tracking), so you only get notifications about the ones you want to follow more closely. Ok, I’ve gotten a few more expressions of interest to sponsor this. If anyone else is interested, let me know asap as I’m going to start on this soon. @p16 @wishspinner I’ve sent you a seperate PM regarding sponsorship. @p16 We’ll need to disaggregate a few things you’ve got going on in your design. The ‘social’ style feed with a latest / top toggle will be possible when using the Follow Plugin in conjunction with the Topic List Previews plugin and a theme, rather than being bundled into the Follow plugin. Clearly separating out these different pieces, makes the plugin more usable across different cases and styles. Does that make sense? As @DiscourseMetrics and @P16 have hashed out above, it would be best to have a feed of topics from those you’re following as a “Discovery” topic list, rather than in a profile tab (as in the original spec). As to the question of whether it should be a standard topic list or a stream of posts, it will definitely be easier to have a standard list in v0.1, so I agree with @P16 that this is the way to go initially. 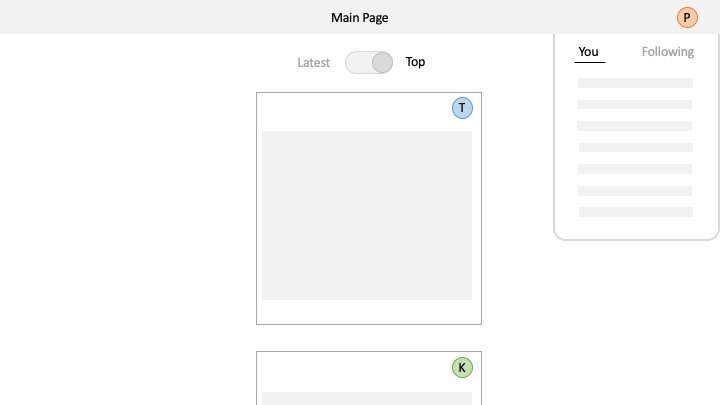 Coincidentally, I’m actually working on a “post list” structure that pulls posts from different topics into a single feed for a different job, but integrating this into either topic list previews or the follow plugin will be further down the track. The addition of notifications about activity of those you’re following may indeed overwhelm the single notifications feed. I think this might be something we should test out first using the existing notifications feed. We can split the feed if necessary in v0.2. Is that ok with you @p16? 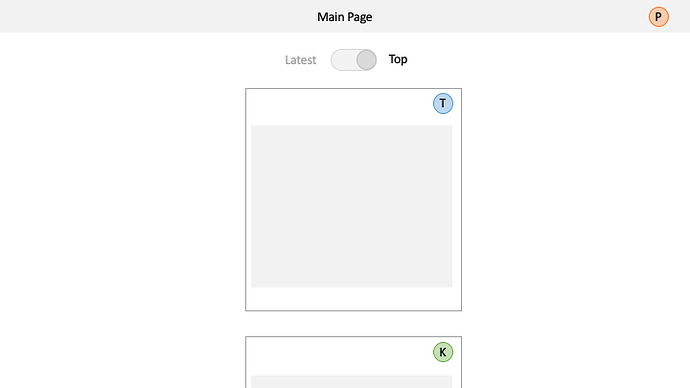 “Follow” toggle in the user’s profile and user card. New setting to direct users to Activity rather than Summary when routing to a user profile. Topic List. If you follow other users you see a topic list with the latest activity of users you are following. This topic list will have all the same functionality as other Discourse topic lists. Initially with only one notification level akin to “Watching First post”. Just a note that the sponsorship for a plugin implementing this feature has firmed up (with 3 sponsors, @wishspinner, @p16 and @Genyus) and I’m going to start building it Monday next week, so if anyone else is interested in adding to this spec / wants to sponsor / has anything else to add, now’s your chance. edit: the spec is now finalised and sponsorship closed for this version. Work starts on Monday! I’m just wondering, why not? This would be a great feature in the core. Maybe an optional feature. 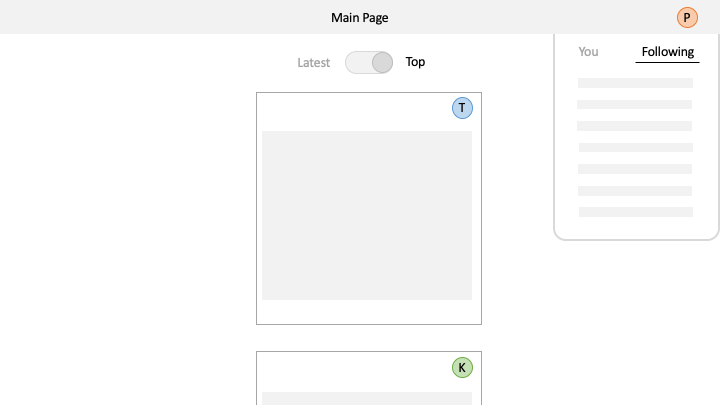 Coincidentally, I’m actually working on a “post list” structure that pulls posts from different topics into a single feed for a different job, but integrating this into either topic list previews or the follow plugin will be further down the track.